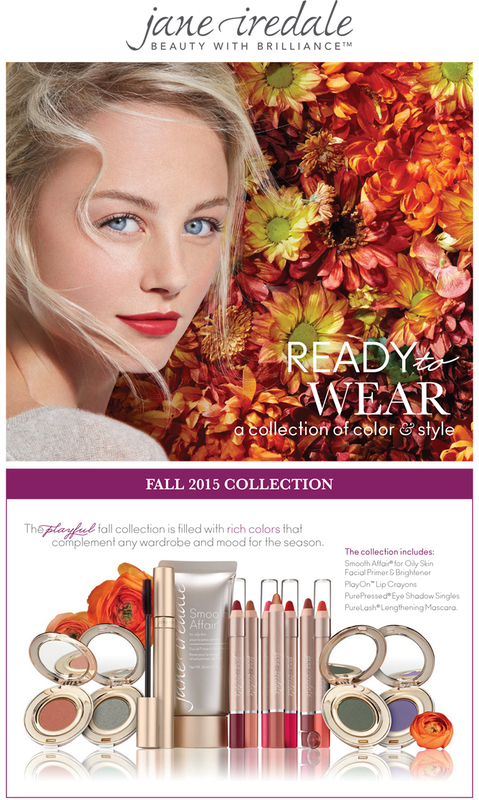 The Jane Iredale Fall 2015 Collection is here! Book your FREE makeover today. The Jane Iredale Fall 2015 Collection has arrived – filled with rich colours that complement any wardrobe and mood for the season. Can’t wait? Shop the new collection online and receive a FREE pencil sharpener with the purchase of any PlayOn Lip Crayon shade. Offer valid September 9-16, 2015, while quantities last.